We are linked with the etheric through a vortex like opening at our solar plexus. Our etheric constantly aspires to raise us to a higher frequency and resonance. But, too often we block our awareness to this. This is the 5th dimensional portal through which we most easily access our inner dimensional worlds. Through meditation, reflection, time in nature, engagement in the arts of yoga, chi gong, tai chi, and so on we can learn to travel inward to the celestial worlds. Quite literally, "The Kingdom of God" is within each one of us. Our inner selves speaks to us through sounds and symbols, in a very quick fashion. We need to allow ourselves to relax and process these fleeting glimpses of information and experience. They oscillate at a higher frequency which we must learn to adapt to. "The etheric body is a holographic energy template that guides the growth and development of the physical body (Talbot, 1991, p. 188). Each body functions as a template for the one before it, eg. astral for ethereal. Since the mental body is the highest, healing a person at the mental level is stronger and produces more lasting results than healing from either the astral or etheric levels." Work with your own template of perfection. Full realization of it leads to robust physical health, anti-aging, a heart full of love and a fully realized soul. You can understand and tap your template through meditation, prayer, deep breathing, healing techniques, and time with nature. Your physical presence is continually receiving impressions from your template but these are edited by your conscious mind through your beliefs and assumptions. To heal you must match your body image with your perfect template. When you ask for healing, your soul retrieves healing data from your perfect, whole template. "This template is the personalization of the perfection of the Universe in your physical life." (Meredith Lady Young, Language of the Soul, 1987, p. 53). This template can only be interpreted with your heart and inner perception, not your mind. It carries a pattern for maximum productivity in this lifetime, the lessons to be learned, the karma of past life actions and your life purpose - what you agreed to do in this life before you were born. Change your beliefs, health and life direction by accurately mirroring your etheric template. Use your soul to draw in the perfection of your template. Visualization is an excellent vehicle to come into attunement with your template. See it as a tangible energy field around your body. It is your soul's etheric energy. Personalize it, own it. Establish a power bond with it. The etheric body begins about 3 inches beyond the body as a web of energy. It is our innermost layer, beginning at the spine, and is also known as the pre-physical body. It is an electromagnetic vibratory field that shields and energizes the dense physical body and integrates us with the Earth's energy fields. It fluctuates continuously in response to vibrational waves around it. "I call the fifth layer of the aura the etheric template because it contains all the forms that exist on the physical plane in a blue-print or template form. That is, it looks rather like the negative of a photograph. It is the template form for the etheric layer which as was already stated is the template form for the physical body. 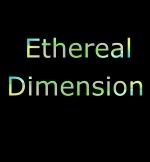 The etheric layer of the energy field derives its structure from the etheric template layer. It is the blueprint or the perfect form for the etheric layer to take. It extends from about one and one half to two feet (45 to 60 cm) from the body. In disease, when the etheric layer becomes disfigured, etheric template work is needed to provide the support for the etheric layer in its original template form. It is the level at which sound creates matter. It is at this level that sounding in healing is the most effective. To my clairvoyant sight, these forms appear as clear or transparent lines on a cobalt blue background, much like an architect's blueprint, only this blueprint exists in another dimension. It is as if a form is made by completely filling in the background space, and the empty space left creates the form. The etheric template is the template for the etheric body, which then forms the grid structure (structured energy field) upon which the physical body grows. Thus, the etheric template level of the universal energy field contains all the shapes and forms that exist on the physical plane, except on the template level. These exist in negative space, creating an empty space in which the etheric grid structure grows and upon which all physical manifestation exists," (Barbara Brennan, Hands of Light p.52). Rudolf Steiner taught that The Etheric level is intermediate between the Physical and the Psychic world. Due to the gradational nature of reality, according to which everything can be conceived of as a vast spectrum or continuum, every vertical level or world can be considered intermediate between the two worlds which border it on either side (i.e. above and below). On a more occult level, Rudolph Steiner described Etheric reality as the region of the "nature-spirits", or "elementals". Steiner saw the elemental spirits as dynamic forces intimately connected with biological forces and the rhythms of nature, especially the growth of plants. "The etheric forces influence physical life in a variety of ways. They are creative and formative, ensouling matter with life, vitality, form, and power -- the ether is the transmitter of the essential life-forces. Furthermore, this cosmic organizing force is susceptible to control by Mind and Will -- mind controls life and life controls matter. Just as the physical world is surrounded and influenced by the ether, so also is man. The etheric forces are gathered and concentrated in man and form what is called the Etheric Body or double, which surrounds and interpenetrates the physical body and is an exact copy or duplicate of it, organ for organ and cell for cell. The Etheric, or vital body, as it is also called, extends beyond the periphery of the dense body as the etheric region extends beyond the dense part of the planet. The etheric body plays a very important part in our life, health and the development of occult powers." (S.G.J. Ouseley, The Power of the Rays: The Science of Colour-Healing, 1951, p. 37). The first of the levels of being beyond the physical body is the formative-field body or what the Theosophists call the "Etheric" body. This "Etheric Body" is the subtle life-force body, which sustains the life of the physical body, and serves as the mould or matrix for physical metabolic functions. The term "etheric body" can have several different possible meanings. The Etheric body is the repository of the life-force or vitality principle, often called ch'i, ki, prana, vayu, pneuma, orgone, libido, and so on. It is an energy flow between the different levels of one's being. This vital-energy flows through the various channels or nadis or meridians, and is processed in the energy-centers or chakras. The Etheric body is also the locus of the "subtle anatomy" of chakras, nadis, meridians, etc, that form a central part of Indian and Tibetan Tantra and Chinese Yoga and Medicine. This vital force or ch'i-energy flows through the various channels or nadis or meridians, and is processed in the energy-centres or chakras. Alternative Medicine, whether Chinese, Tibetan, homoeopathic, Reiki, and so on, likewise works on the level of the Etheric or subtle body. These practices are "alternative" relative to Western Materialistic medical science, which treats the Physical body.